Hi, everyone! Forgive me for the summertime slump in my posts lately! Summer here has actually been anything but a slump! We have been busy with life and I have been busy with some fun crafty projects! Y'all wish me luck because I just submitted my final project for the Spellbinders design team call! I made it to the final round and come June 25th I will know if I made it onto this AMAZING company's design team. It would be such a dream come true and SUCH an honor! Wish me luck, guys! 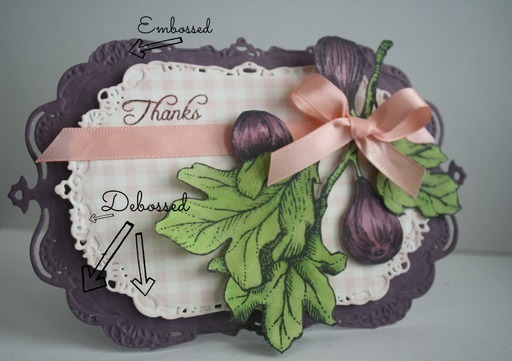 I used Flourishes Figs & Pomegranate stamp set, coloring it with Copic markers. The beautiful shape that my card has is from the Spellbinders Imperial Gold Labels Four die. Their new Imnperial Gold dies are awesome! Not only can they die cut, emboss and stencil but now they can deboss as well! I pointed to a few placed on my dies where the debossed areas are visible. These dies are so intricate and beautiful! Janice this is an amazingly beautiful card - all the best for the SB final round. This shaped card is so stunning! 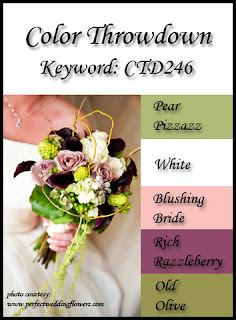 These colors are perfect for that image! Thanks so much for playing along with us at Color Throwdown and good luck with the gallery idol competition!